El Tarter is a smaller village 100m below Soldeu at 1700m. Our hotel - the Hotel Nordic is a wonderful true ski in ski out hotel across the road from the main village. 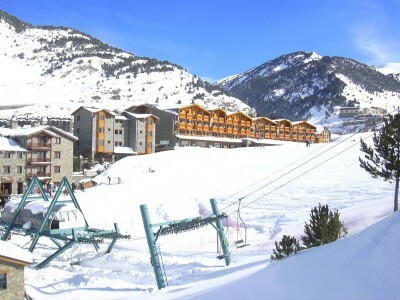 There are some lovely traditional bars and restaurants in El Tarter but it is not as lively as Soldeu or Pas de la Casa, what makes this resort one of our favorites though is the convenience and facilities of the Hotel Nordic - this has to be one the better ski in ski out hotels we have come across. There are snow mobiles for the afternoons and regular buses down to Andorra la Vielle.